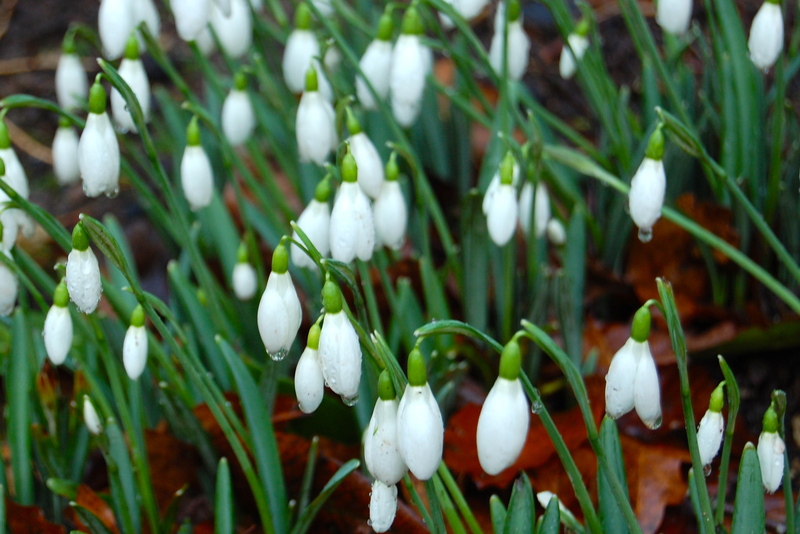 Come and see the snowdrops in the borders, enjoy the woodland and riverside walks. Bring the dog and enjoy a wander, the weather forecast looks good. Lots to see and do in the castle grounds and around the village of Hornby. Hot drinks and cake for sale in the walled garden. 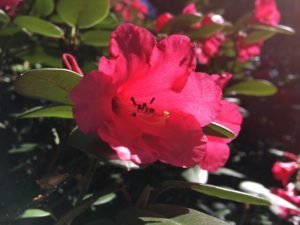 Plants for sale – Lay of the Land garden centre will be here selling their plants and gardening items. Wyn Abbot pottery and ceramic exhibition in the castle pottery. Chris Hill Textile art and Heather and Fell cushions and scarves will be in the castle drawing room. A brief history of Hornby Castle talk by Sue Bull at 12 noon and 3pm in the castle drawing room hundreds of years of history of the castle told eloquently by our resident historian. Hornby Tea rooms and Hornby Institute open for refreshments and Coach House Antiques will be open for the antique lover. 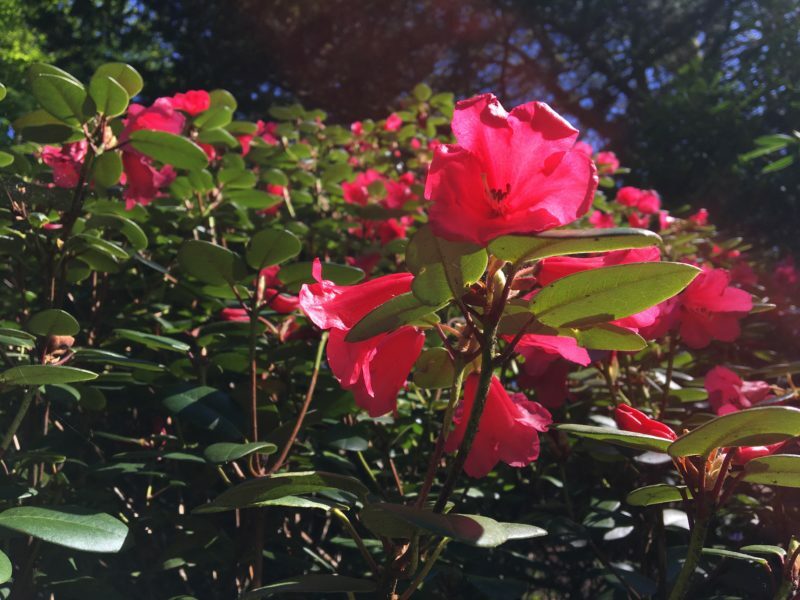 We are almost ready to open the gates again for our open weekend on Saturday 20th and Sunday 21st May (10.30am until 4.30pm each day) This wonderful rhododendron has just opened out, it feels late this year, but it still remains my favourite. There are lots of others opening around the garden. The gardens look magical at this time of year and Ken, Mary and Reuben have worked exceptionally hard to get them to where you will see them in just over two weeks time. New borders are really taking hold and we have replenished the woodland path. Do come and see us, Wyn Abbot who has moved her pottery studio to the castle gardens will be having an exhibition in this exciting new space. 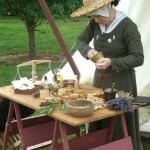 There are the usual history talks from Sue Bull at 12 noon and Ken Green – head gardener talk at 2pm. Admission is £4 and children under 5 are free. Refreshments served on site and of course don’t forget the dog and their lead! Nearly time to open the gates again for this years Snowdrop weekend. As is always the case here at Hornby, we have had a busy year making changes and trying to improve things so there is plenty to see. Some of the new borders we have been working on are beginning to really settle down and we have seen lots of new growth and happy plants with lots of buds. 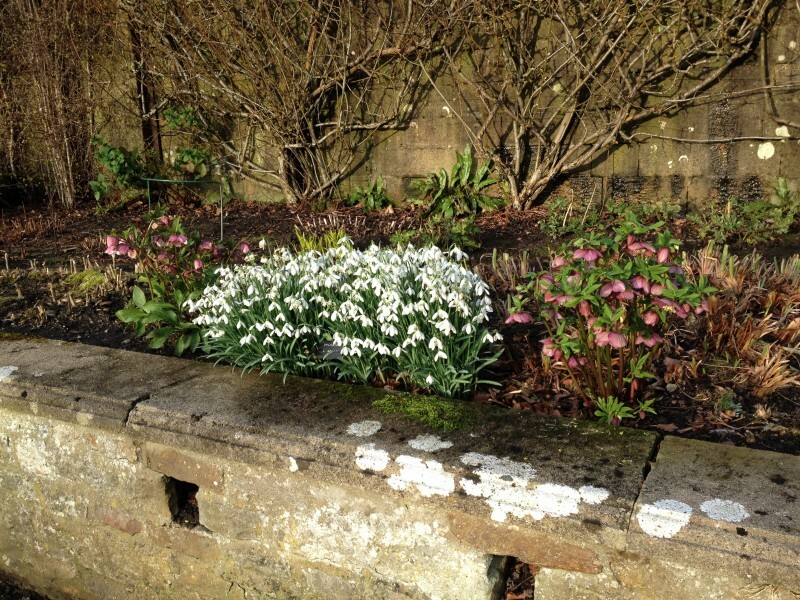 The snowdrops are really beginning to come out now, so in a couple of weeks when you pop in to see us, everything should be looking really in bloom. Remember to bring the dog and some sturdy walking shoes! 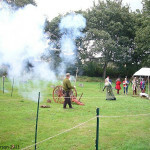 Very exciting news here at Hornby, we are hosting the Sir John Savile Household on the 27 – 28 June 2015, they are a historical re-enactment society and they will be here for two days. 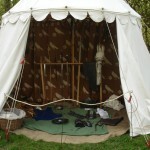 Come and experience life during the 15 century, Wars of the Roses. 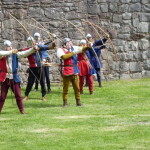 See how Sir John’s men were trained in the arts of warfare – including the mighty English warbow, see his spearmen armed with the feared English Bill and marvel at his guns, the pinnacle of military technology! The dances of the time will be performed by the household and join in if you wish. The camp will also have members of the group in full period dress so there will be chances to learn about the clothing, fashions and status. We will be opening the gardens as usual and there will be refreshments on site, as well as a pottery and ceramic exhibition and historical talks in the castle drawing room. Put the date in your diary and come along! Happy New Year & Snowdrops! Happy New Year from all of us here at Hornby Castle. We are working hard to get the gardens ready for the Snowdrop weekend in February 21/22 2015. There is a lot of muck to move from the changes we are making to some of the main borders and this is taking time and some fair amount of back strain! The first snowdrops are beginning to poke their heads through the ground. Always exciting to see the garden with the first bits of life in both the hellebores and the snowdrops and the odd primrose. Do come and see us in February, there will be Wyn Abbot displaying her wonderful ceramics and tea and cakes in the walled garden. Talks as usual from Sue Bull on the history of the house and Ken Green giving his gardening talks too. We are open from 11-4 and the admission is £4. Dogs allowed on leads. If you are a member of a gardening group, historical society or even just a group of friends we can arrange special tours around the garden (please note garden only minimum 20 people). If you would like to know more or arrange a visit please get in touch through our contact pages. 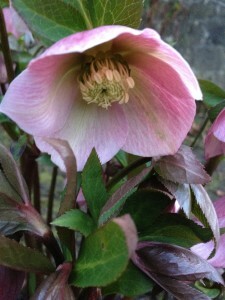 Ken Green our head gardener also visits a number of gardening groups and can be contacted through us. Hornby Castle Snowdrop Weekend build up! 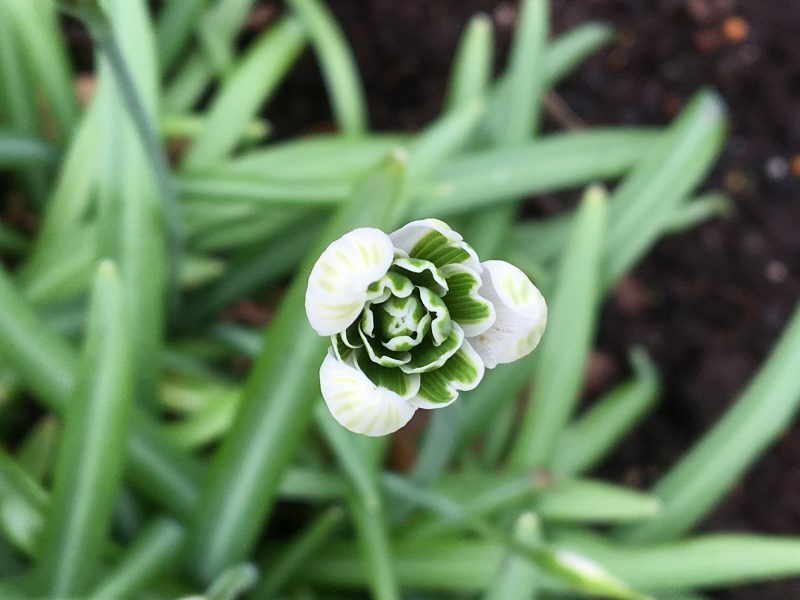 Here are some of the little snowdrops that are already appearing in the garden, there are plenty more that are also just poking their green tips out of the soil. 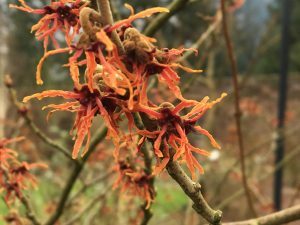 As ever with our garden there are always changes and we have had the odd tree down over the course of the year, which gives us the opportunity to stand back and think about what direction we should go in with some of the wooded areas. Some shrubs don’t survive the deer. the frost or the rabbits, but overall the garden is looking great. We have moved the snowdrop weekend forward by a weekend so hopefully this gives more time for them all to be out and fluffed up to their full glory. Full details on the Hornby Castle gardens page, but we are open on the 22nd and 23rd February 11-4 so come and see the gardens, don’t just take our word for it. Situated on the edge of the Lake District in north west England, Hornby Castle is a private family home. It is occasionally available to rent for special events, film locations and garden performances. Find out more about Hornby. May Open Weekend 19/10th May 2018 & Ever thought about living in a castle?